Handcrafted as a solid top. 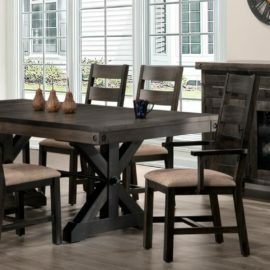 Pair your table with the Benchmark Dining Table. 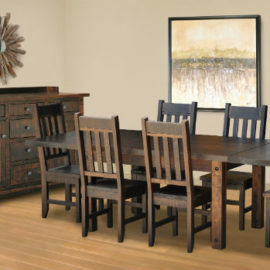 The Benchmark Dining Bench brings industrial style and rustic charm straight to your home! Saw marks highlight the natural beauty of the wood, while the metal turnbuckle adds character. Create your set by mixing and matching pieces as you please, so you get the look you desire. Ruff Sawn delivers Mennonite quality craftsmanship straight to your home. 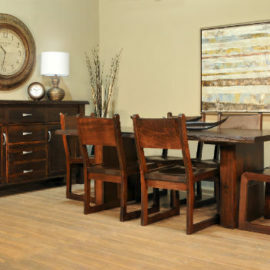 Handcrafted from solid wood and built with pride in the heart of Ontario. Styled for today; constructed for life! 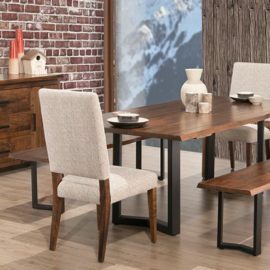 Pair your bench with the Benchmark Dining Table.